Only coffee from the most recent crop is imported, which makes a real difference in both taste and aroma. 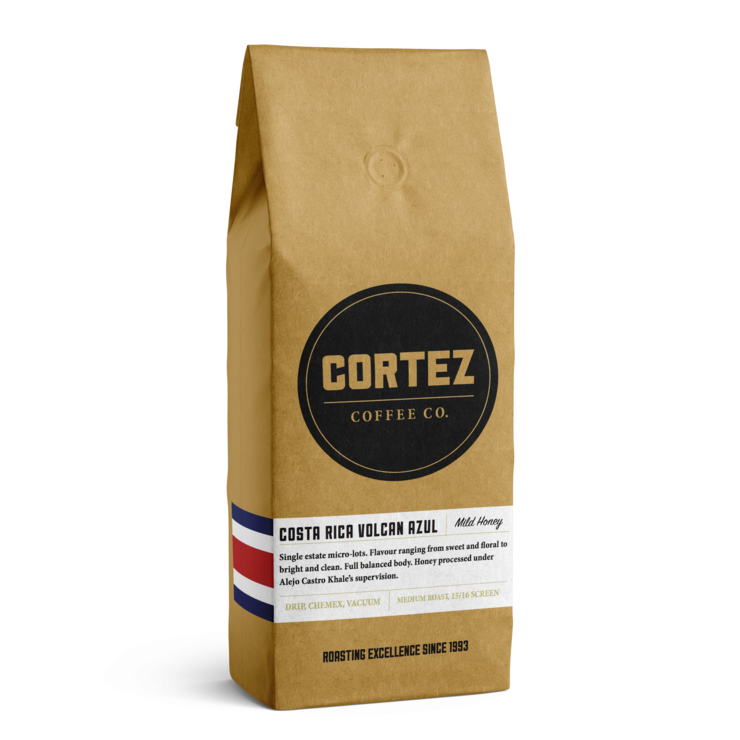 After selecting only the best Costa Rican coffee beans, they are sun dried and processed & packed on the farm, then shipped directly to the United States where they are roasted in a consistently perfect manner with techniques approved by the SCAA (Specialty Coffee Association of America). Heat sealed in high quality, heavy duty, stand up bags with one way valves for absolute freshness. Peaberry: Your typical coffee fruit (cherry) has two beans in it. The peaberry has a single, uniquely small roundish coffee bean that consistently produces a more robust and intense flavor than regular Costa Rican coffee beans.